Photo taken by Mark Goodchild. 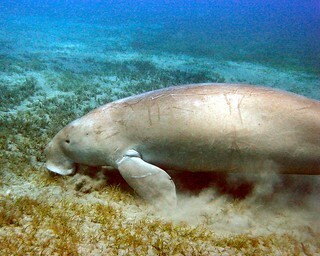 Dugongs are sea cows - like manatees. They are very rare.